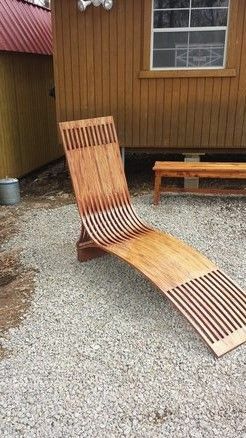 Great chair, nice job on all the steam bending. Is this the Tommy Mac design? Too nice to keep outdoors! Very cool! I don’t think I’ve ever seen anything quite like that before. I saw the video Tommy Mack made..I assume you got the design there. Looks sensational. is it comfortable? how hard was it to make with all the pieces? Looks like it was fun, with all that steam bending! Great looking chair!